Karen Wilson has worked in Kentucky state government for 21 years in the cabinet overseeing environmen-tal protection, natural resources, and energy programs. She has had roles in communications and outreach, legislative, regulatory and intergov-ernmental affairs, and strategic planning. Ka-ren has assisted in the development of two com-prehensive energy plans and has been involved in a number of stakeholder initiatives. As part of a Na-tional Governors Association Policy Academy, she is currently involved in an initiative to encourage broad discussion on factors affecting Kentucky’s electric power sector. She has a BA in English from UK, in addition to her MPA from the Martin School. She and her husband Steve Gardner, also a UK alumnus, live in downtown Lexington. John has served in the Kentucky State government for over 31 years, and 24 of those were with the State Budget Office. 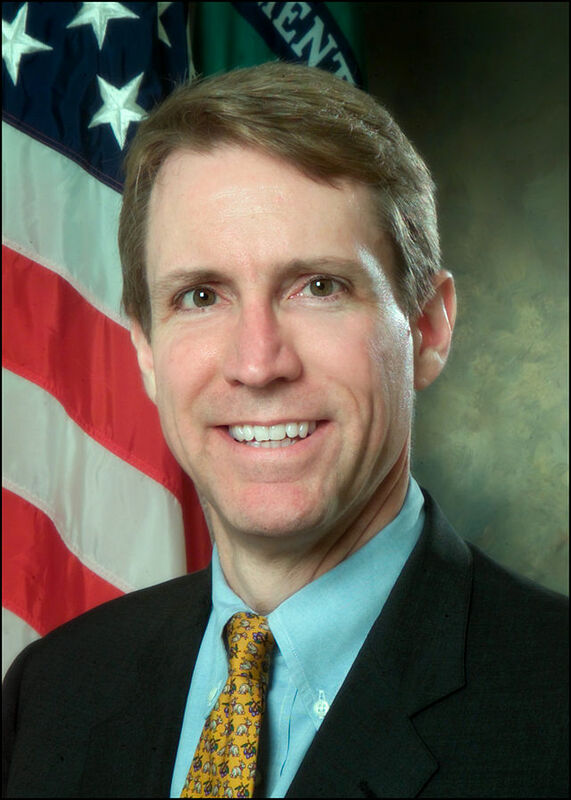 Since 2005, John has been the Deputy State Budget Director for the Commonwealth of Kentucky. He manages the budget and support staff in the office and oversees much of the development and execution processes. John was the Executive Director over policy, budget, and administrative services for the Workforce Development Cabinet from 1990-1996. Throughout his tenure in the State Budget Office, he has been a lead staff person in many areas of the office including post-secondary education, capital projects and debt, criminal justice, workforce development, and natural resources and environmental protection. He was tasks with maintaining the state General Fund’s budgetary scorecards,preparing the biennial budget instructions, implementing the first budget information technology system, and drafting and reviewing the Executive Branch appropriations bill. He served as President of the National Association of Budget Officers (NASBO) for the 2011-2012 year. John is the only person to receive both of NASBO’s top awards, the George A. Bell and the Gloria Timmer award. John holds a Bachelor of Arts degree in Political Science from Murray State and a Master of Public Administration from the Martin School. John and his wife, Sue, have been married for 31 years, and they have two children, Stephen and Elizabeth. For twenty-five years, Peggy Graymer served in administrative and executive roles in many settings, including the NC Governor’s State Budget Office, the University of Kentucky, the University of North Carolina, and UCLA. Prior to establishing a consulting firm for institutions of higher education and not-for-profit organizations, she was Associate Dean of the Division of Continuing Education and University Extension at UCLA, the largest continuing education organization in the United States. She has had responsibility, over her professional life, for over $1.5 billion, almost 2,300 employees, planning for/ implementing five computer systems, and close to a half million square feet of space. She led successful efforts throughout her career to return deficit-ridden budgets to health; to streamline and restructure operations in order to achieve elusive goals; to create new resource bases; to improve productivity; and to use planning processes to drive strategic efficacy. Peggy is a native of North Carolina. She earned her Bachelor of Music degree at Salem College (NC), a Master of Music degree from Yale University, and was in the first class of graduate students to be awarded a Master of Public Administration degree from the Martin School. She currently lives in Santa Monica CA, where she is a Board member and former President of the Westside Committee of the Los Angeles Philharmonic, a support organization. She enjoys traveling, persevering as an organic gardener, and restoring her equanimity at Lake Tahoe. Ron has enjoyed a very rewarding career in health care administration and education for over thirty-four years. He currently serves as Executive Vice President and CFO of Commonwealth Health Corporation. At CHC, Ron led the organization to its first-ever bond rating by Standard and Poor’s and oversees the finances of over $1 billion gross revenue operations. Ron is actively involved in healthcare policy and legislation at the state and federal level and regularly serves as an advocate for CHC and Kentucky’s healthcare industry in Frankfort and Washington. Currently, Ron serves his community on numerous board most recently as a member of the WKU Gordon Ford College of Business Executive Advisory Council, as a member of the Kentucky Hospital Association’s Legislative Committee, as the Chairman of the of the Building Committee for State Street United Methodist Church. To recognize his efforts, the Board of Directors for the Bowling Green Area Chamber of Commerce selected on as their Volunteer Board Member of the Year for 2000 and in October, 2001, Ron was named by WKU at its Summit Awards as the Volunteer of the Year for the Hilltopper Athletic Foundation. He is a native of Bowling Green, earned his Bachelor of Arts degree from Western Kentucky University and a Masters of Public Administration from the Martin School in 1977. The Martin School's third Distinguished Alumnus Award was presented to Timothy Adams, a native of Murray, Ky. Adams, a 1986 graduate, is managing director of The Lindsey Group, an economic advisory group in Washington D.C. Previously, Adams served as under secretary of the Treasury for international affairs, where he was the administration’s point person in international financial and economic issues, including the G-7 and G-20 meetings and IMF issues. Adams also served as chief of staff to Treasury secretaries Paul O’Neill and John Snow. Bob Wiseman currently serves as Vice President for Facilities Management overseeing Campus Physical Plant Division, Medical Center Physical Plant Division, Capital Project Management Division, University Architect and Planning Office, Real Estate Services, and Auxiliary Services including Housing. Currently Facilities Management employs approximately 1000 employees and oversees ongoing capital construction projects of over $700 million. Mr. Wiseman received his undergraduate degree and a Master’s Degree in Public Administration from the Martin School at the University of Kentucky. He previously served as Lexington Commissioner of Public Works overseeing five operating divisions and numerous construction projects involving buildings, parking garages, roads, utilities and historic structure renovations. In addition, Wiseman served two Lexington mayors in the capacity as Executive Assistant overseeing major capital programs and serving as liaison to UK and the General Assembly. He has served as a member of the Campus Master Plan Committee, College Town Steering Committee, Martin School Board of Visitors, the Top 20 Steering Committee, Provost Search Committee, University Neighborhood Advisory Council, Presidents Sustainability Advisory Committee, along with other University wide committees. In recent years Wiseman has also taught graduate-level courses in Public Administration at UK.